The holidays are just a month away! 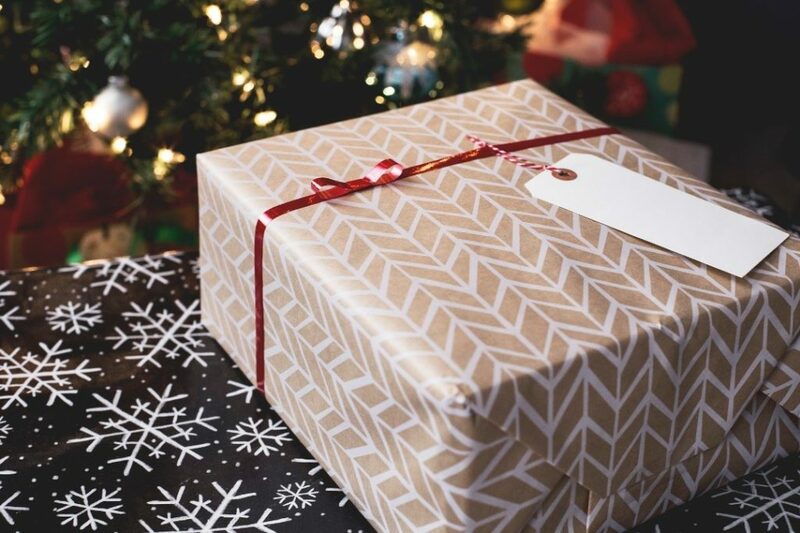 Savvy shoppers are taking the time to get their gift lists checked off early – but finding the right present isn’t always easy. RV Wholesale Superstore can help make your shopping a little easier. We put together a list of great gift ideas for RV owners! If you’re on the hunt for something to spread some holiday cheer to the camping enthusiast in your life, read on. The best part of RVing is getting away from it all – which means a trip can take you to places where your cell coverage isn’t reliable. Cell amplifiers are a great solution to this. Many relatively inexpensive boosters will amplify your signal to help improve your data speeds or avoid dropped calls. Almost any RV owner will be able to make use of an amplifier; it’s a “can’t miss” gift idea. Automotive sticker maps are a perfect gift idea for RV owners that love to take big trips. The maps let your RV friends keep track of their fun adventures across the country by sticking up states that they’ve visited. Big-time travelers love to have a way to remember and show off all of the places they’ve gone. Tracking maps are available using a variety of methods: some use stickers, while others are magnetic. You may even find a scratch-off version! Just like with cell coverage, Wi-Fi can be unreliable in an RV. A Wi-Fi extender can help ensure you get perfect coverage from front to back, and even around the outsides of your RV. It’s not always easy to entertain children on the road, so if you’re letting them have some screen time, this will help make sure their connection stays strong. Pay close attention to the coverage offered by extenders and find one that makes sense. You don’t need to go crazy with these! Some extenders are designed for home and office, making them much too large with more range than is necessary for camping. RVs are comfortable. But if you’re out in the wilderness, it’s a waste not to spend quality time outside. A camping hammock lets you relax and take in nature at the same time. While there are basic camping hammocks available, consider some of the fancier options for your RV camping friends. Some come with nets to help keep out insects, and others come with handy rainflies to prevent anyone from waking up soaking wet! When you’re away from power hook-ups, your RV’s power is on borrowed time. For those that love to dry camp in their RVs, a solar-powered charger is practically a necessity. While they typically won’t be able to fully recharge all of your devices on the go, they can add a few hours of usage to smaller phones and USB gadgets. There are all kinds of solar-powered chargers: big ones, small ones, ones that directly feed power to your device and some that store power to be used later. Find one that matches their needs – bigger devices need more charging power! Unlike your home, you can’t keep running back to the garage to get more tools – so the more, the merrier! Even just a great tool box to keep them in would make a great gift, too. Severe weather can quickly sneak up on you. If you’re camping off the beaten path, you often only have the sky to let you know what’s ahead. Sometimes that means you just get hit with a rainstorm you weren’t expecting, but dangerous weather is nothing to leave to chance. A portable weather radio can help warn you when serious weather emergencies are sighted. For power-conscious campers, a battery-operated radio may be a better option than a typical AC-powered one. Either way, they’re an essential for any serious camper. Whether you spend all your time at the campsite, or love to hike deep into the forests, RV camping means dirty footwear. Your doormat can only handle so much – a wraparound step cover is a great option to give it some much needed help. They easily wrap onto your RV steps to help give them some extra friction. For those that love to bring their pets on their RV trips, the extra mud removal makes a dramatic difference! An instant pot could easily be considered an essential for any RV kitchen. When it comes to saving space, it’s hard to beat a 7-in-1 cooker. As a pressure cooker, slow cooker, rice cooker, steamer and more – you can cook for a big family in this one tool. Because it’s a pressure cooker, dinner can be made quickly. That means more time relaxing while still eating fresh, delicious food. Pressure cookers come in many sizes and some have more features than others, so you can find the perfect one for a family of any size! For RVs that don’t have automatic leveling systems, a set of leveling blocks is a must-have. They’re small, interlocking blocks that help raise your RV under the wheels. Their clever design helps distribute weight while stacking together to build to the necessary height. Whether you’re in a campsite or traveling far off the beaten path, they help make it easy to level off an RV to keep it stabilized. The professionals at RV Wholesale Superstore are ready to help you find your first RV. Visit us in-person at 5080 W. Alexis Road, in Sylvania, OH, call us at 844-601-1171 , or contact us online.